Creeper is a young teenager living by herself on the streets of an alternate steampunk version of New Orleans. However, she doesn’t intend to live this way her entire life: her goal is to get the hell away from the streets and, hopefully from New Orleans altogether. Her opportunity to do so comes up when she hears about the disapperance of a scientist and how it might be linked with the Black God’s Drums, a mysterious weapon that could destroy New Orleans in the blink of an eye. Creeper intend to use this information to flee the city, however, Oya, the goddess who constantly whispers in her ears have other wishes for her. I haven’t been reading a lot of fantasy lately and I usually don’t like steampunk books. However, I read a couple of reviews gushing about this little novella (and I have to say that the gorgeousness of the cover may have helped as well), so I decided to request this book anyway since I usually like the range of novellas from Tor.Com. I’m very glad I read this book because I ended up enjoying it quite a bit. 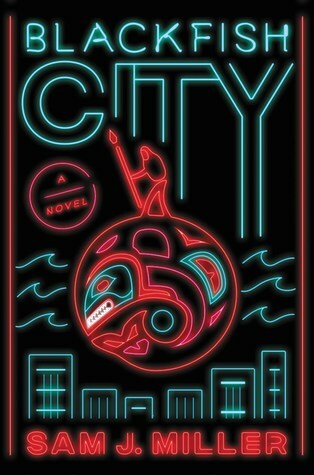 It’s a fast read set in a fascinating city and the main character, Creeper, was an interesting one for sure. She’s young and sometimes a bit stubborn but she’s very clever, ambitious and full of good intentions. She knows what she wants and she isn’t afraid of fighting for it which made her perspective very interesting. The world, the magic system and the constant presences of gods influencing the characters were all very interesting. I would definitely read other stories set in this world, Clark’s descriptions made it very easy for me to picture how everything looked and worked without ever feeling like too much. My only issues with it were the fact that I wished the novella was a bit bigger because I found some events a bit rushed towards the end. I also sometimes struggled a bit with the writing. Indeed a lot of characters don’t speak a very good English and, being set in New Orleans, they often use French words that they mispronounce as well and it made it hard for me to understand some of their sentences. It was oddly bothering me even more with the French words than the English ones (if you don’t know, I’m French and English isn’t my first language) . For example, the characters mentionned “Maddi grà” a lot and it took me quite a while to get that characters were talking about “Mardi Gras”. It’s not an issue for one word but it happened several times and it was a bit annoying. 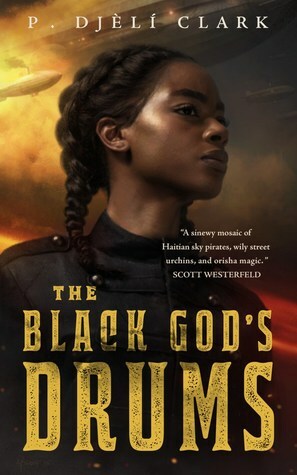 Anyway, except for those little things, I quite enjoyed The Black God’s Drums and I would recommend this story. It is a very fun, fast-paced novella set in a fascinating world. I received a copy of this book from Netgalley in exchange for an honest review. All opinions are my own. My thanks to Tor.Com. When pulp-fiction writer Lior Tirosh returns to his homeland in East Africa, much has changed. Palestina—a Jewish state established in the early 20th century—is constructing a massive border wall to keep out African refugees. Unrest in the capital is at a fever pitch. While searching for his missing niece, Tirosh begins to believe he is a detective from one of his own novels. He is pursued by ruthless members of the state’s security apparatus while unearthing deadly conspiracies and impossible realities. For if it is possible for more than one Palestina to exist, the barriers between the worlds are beginning to break. Lior Tirosh, a not so famous pulp-fiction writer who’s never published something of note, decides to go back to his homeland to take care of his ill father. Palestina, a small Jewish state established a few decades back near Uganda has changed a lot in the last twenty years he was away. From the airplane, Tirosh can clearly see the wall being built in order to separate Palestina from Uganda, keeping Palestinians isolated from African refugees. 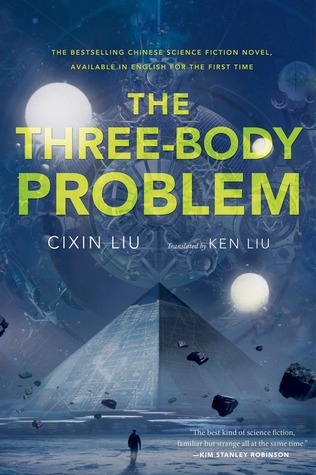 However, when he lands, strange things start to happen, from the border control where an agent keeps on asking if he’s brought anything from the outside, to the odd woman who seems to be following him, to the fact a man he hasn’t seen in twenty years found a way to die in his hotel room. However, before doing so, his former friend has the time to tell him that Tirosh’s niece, a girl he barely remembers from before, has disappeared. And that it has something to do with the construction of the wall and fading borders between realities. Tirosh decides to “take the case” as would do his main character from his detective stories. He starts traveling in Palestina and in his own past, in the memories he once had of a land who might never had been, navigating the thin border between past, present and what ifs. 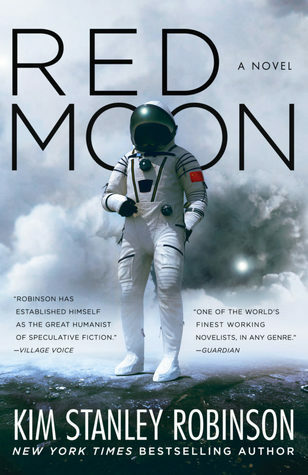 What starts off as a novel deeply grounded in our reality, where terrorist attacks happen in faraway countries and are reported by bored journalists days after days, subtly evolves in a mosaique of might have beens and impossible realities all linked together by the protagonist’s journey. It all begins with an historical anecdote, an expedition that could have prevented the murder of millions of people. What if Palestina was established in Africa and WWII never happened? However, Unholy Land is not solely about that, it’s also a love letter to the land we consider home. It’s about people belonging to a territory and how this attachment to a piece of Earth is at the center of many conflicts. It follows the consequences of preventing people from reaching a certain land. It can be applied to any wall separating a place from “outsiders”, people who don’t belong for a reason or another, it could be set in Korea, Mexico, Israel or anywhere where walls are buit as borders. In this world where people can jump form a reality to another, from futures where lands are devastated by wars or still populated by dinosaurs, Unholy Land follows people as they tries their best to belong even in places where everyone see them as foreigners. 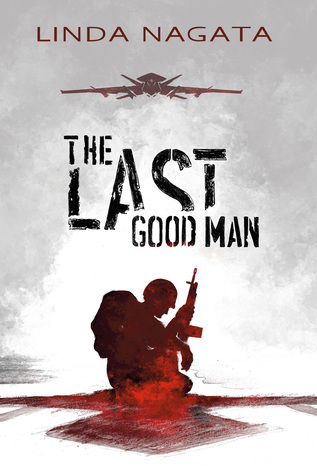 One of the main character is an agent whose job is to protect his country from outsiders. Those people may be from other realities or just refugees seeking a safer place. He is not likeable character, but, in his mind, he’s doing the right thing. He’s not looking to purposefully hurt people, he just wants to protect what he considers his. He’s, in fact, not even from the land he wants to protect. In a way, he protects it from people like him. Unholy Land is a love story to your home and how people are mesmerized by it. It’s also about our sense of belonging and loss, how life can be different from what you expected from it. It can be because you never achieved what you wanted, like Tirosh who never managed to touch the world with his novels as much as his father did with weapons, or because you just feel like you weren’t born in the right country, or at the right place at the right moment. It’s rooted in our current reality while being completely set in another. It is Tirosh’s, or Tidhar’s own journey through memory lane as he’s fleeing from his own past to other worlds while impersonating his own creation. The writing is magnificent as you would expect from Lavie Tidhar. You can smell and taste the different cities, feel the nostalgia and sorrow for a country that never was and relate with characters that are completely at odds with you. It follows three characters, jump from narration styles to narration styles and from timelines to timelines, yet it never feels messy or jaring. If you enjoyed Central Station, you’ll recognize Tidhar’s beautiful prose and lush imagination. If you never read one of his works and you are looking for an unconventional book, something you haven’t read a hundred times before, give this book a shot. Unholy Land is without a doubt one of the best book I read this year and one I will revisit numerous times in the future. My thanks to Tachyon Publications for the digital advance reader copy. All opinions are, of course, my own. Well I haven’t done this kind of post in a long time! As you may have noticed by my irregular schedule, 2018 wasn’t really the year of blogging. It’s mostly due to college and not having the time to read at all. In September I read the astounding number of zero books so that explains a bit why I’ve been so absent. However, October was a much better month because I managed to go back to my usual routine after a couple of weeks where I was trying to get used to my new semester. I managed to finish a couple of books and write a couple of reviews and, even if it’s not as much as I wanted, it’s still better than nothing! November is mid-term exams month so I won’t be too active but I’ll try my best to still post because it’s Sci-Fi Month and I love this event. If you’re new to Sci-Fi month, it’s an annual event hosted by Imryil and Lisa where a lot of wonderful bloggers celebrate science fiction by reading of bunch of SF books, reviewing sci-fi movies, games, shows and all of that good stuff! It’s a lot of fun and if you want to follow updates and Sci-Fi Month posts, I highly recommend following both @SciFiMonth and #RRSciFiMonth on Twitter! First of all, let’s appreciate the beauty of this cover: it’s absolutely gorgeous! 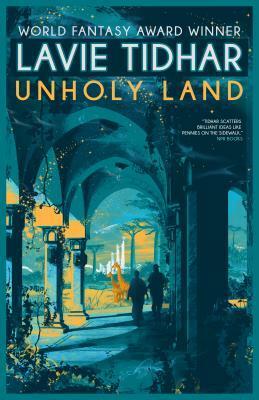 Unholy Land is by far my favorite book of the month and one of the strongest contender for the best book I read this year. It’s beautifully written, extremely clever and the story is fascinating and weird. 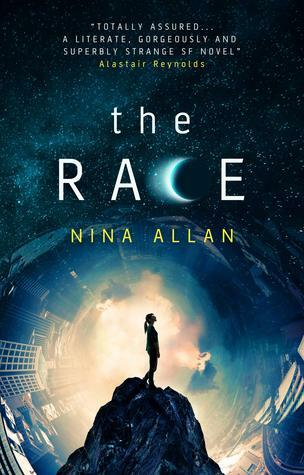 My review will go up before the end of the week but I already raved about this book quite a bit on Twitter (Shameless plug: you can follow me @thesffreader). And yeah, I’ve put Ancillary Justice in a million TBRs before and I never read it but this time, I’ll do it. I don’t know what my problem is with this book, it sounds fascinating but I always forget about it. Are you participating in Sci-Fi Month? If so, what do you plan on reading/watching during November? Have a great month! If you are particiating in NaNoWriMo, good luck to you!